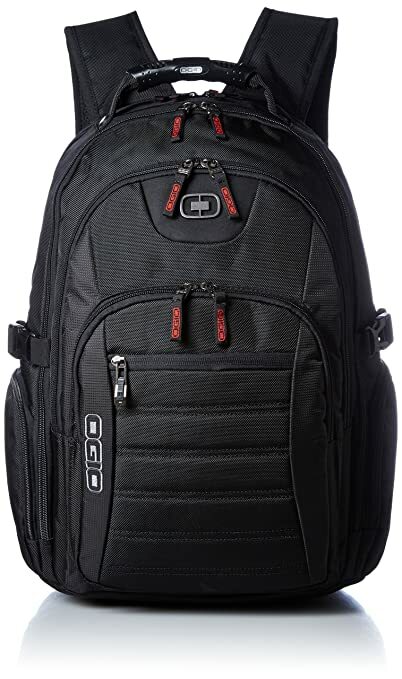 The perfect bag for school or work is here with the stylish OGIO® Hudson Pack! Spacious main compartment with internal laptop sleeve. Sleeve fits most 15 in laptops. Front compartment with organizer panel. Fully lined secondary compartment for essentials items. Quilted back panel for comfortable carry. Women’s specific shoulder straps. Logo detailing adorns front. Capacity: 1025 in³ Imported. Measurements: Bottom Width: 11 3⁄4 in Depth: 6 in Height: 18 1⁄2 in Strap Length: 32 in Strap Drop: 15 in Handle Length: 7 in Handle Drop: 3 in Weight: 1 lb 6 oz This product may have a manufacturer’s warranty. Please visit the manufacturer’s website or contact us at warranty@support.zappos.com for full manufacturer warranty details. 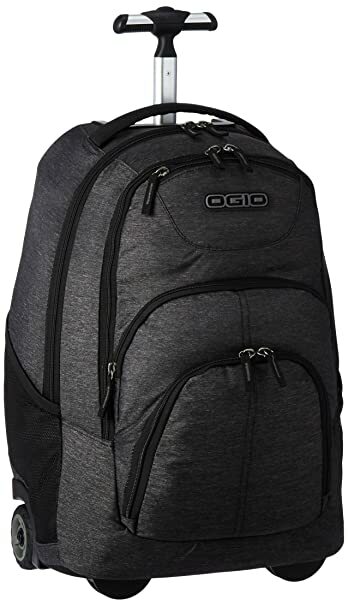 Have enough room for your laptop and work gear and maintain a sleek, streamlined look in the process with the OGIO® Apollo pack! Dedicated padded laptop compartment fits most 15 in laptops. EVA molded Tech Vault gadget protection pocket. Spacious main compartment with two stretch accessory pockets. Front compartment with deluxe organizer panel. Side Spandura water bottle pocket. Side compression straps. Front TPU coated webbing straps. EVA Foam ergonic shoulder straps with sternum strap. Large YKK zippers with custom molded zipper pullers. 100 polyester. Volume: 1300 in³ Imported. 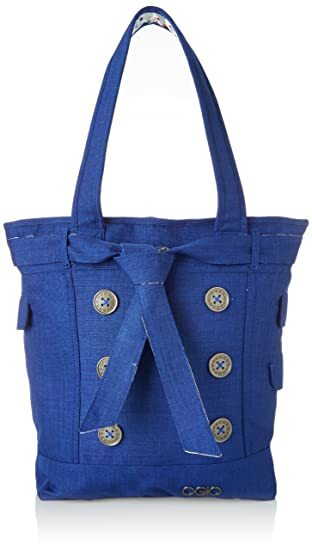 Measurements: Bottom Width: 12 in Middle Width: 12 in Top Width: 11 in Depth: 6 in Height: 19 in Strap Length: 36 in Strap Drop: 15 in Handle Length: 7 1⁄2 in Handle Drop: 1 in Weight: 1 lb 9.6 oz This product may have a manufacturer’s warranty. Please visit the manufacturer’s website or contact us at warranty@support.zappos.com for full manufacturer warranty details. With protective pockets for all of your delicate electronic devices, this backpack is perfect for school, work, or travel. 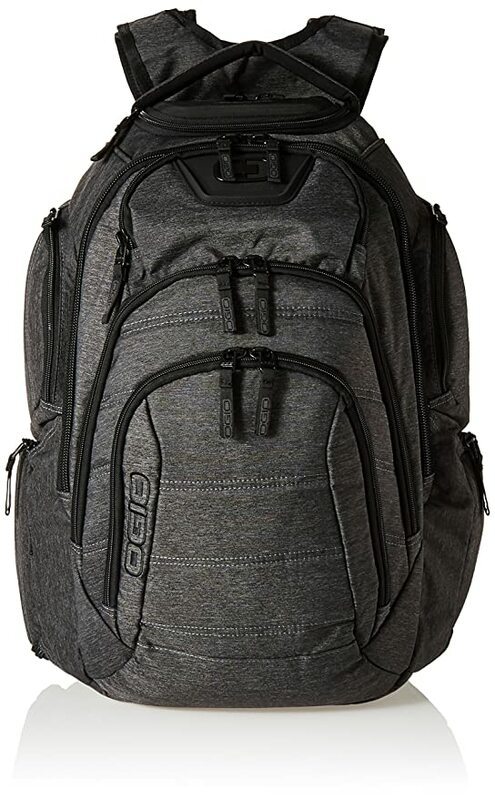 The OGIO Urban 17 backpack is made from oxford polyester and dobby polyester fabric and features a well organized design with integrated foam panels for added protection and fully adjustable ergonomic shoulder straps that make it comfortable to carry. 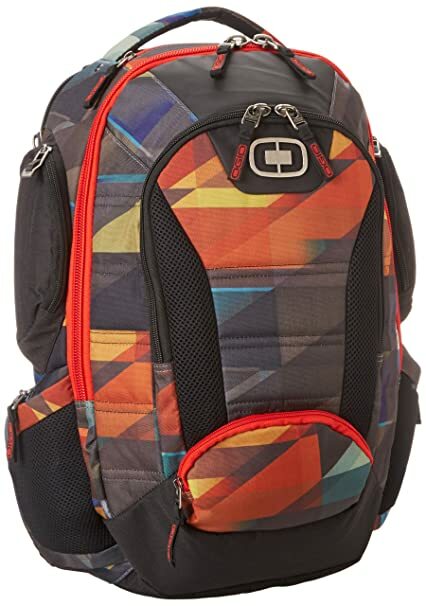 This backpack includes a dedicated laptop compartment, a padded pocket in the main compartment to hold your iPad or tablet, accessory pockets to hold cords and cables and organizer pockets to hold all of your small items and personal accessories. Other features of this pack include side water bottle pockets and a padded back panel for added comfort. Why you riding a bike? Going somewhere? 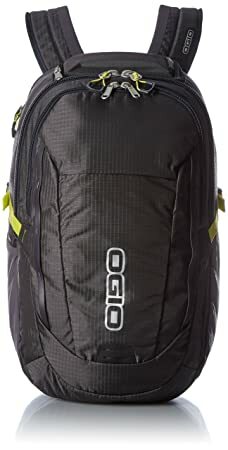 Well, get to where your going in style with OGIO’s Commuter Backpack. Compete with a water resistant 15″ laptop sleeve with OGIO’s RSS system and a Roll-Top flap for ultimate laptop protection. The Commutated comes with dedicated pockets for tablets and smart phones. You can count on the durable water and abrasion resistant base for keeping your things safe and dry. As comfortable in the office as it is on the trail, the OGIO® Ascent Pack works for you whether you’re climbing a mountain or the corporate ladder! Dedicated padded laptop compartment fits most 15 in laptops. EVA molded Tech Vault gadget protection pocket. Spacious main compartment with two stretch accessory pockets. Front Compartment with deluxe organizer panel. Side Spandura water bottle pocket. Side compression straps. Front TPU coated webbing straps. EVA Foam ergonic shoulder straps with sternum strap. Large YKK zippers with custom molded zipper pullers. 100 polyester. Volume: 1300 in³ Imported. Measurements: Bottom Width: 12 in Depth: 6 in Height: 20 1⁄2 in Strap Length: 36 in Strap Drop: 15 1⁄4 in Handle Length: 7 1⁄4 in Handle Drop: 1 in Weight: 2 lbs 0.9 oz This product may have a manufacturer’s warranty. Please visit the manufacturer’s website or contact us at warranty@support.zappos.com for full manufacturer warranty details. Seize the day with the versatile and sporty OGIO® Clark Pack! Armor protected dedicated laptop compartment with RSS fits most 15 in laptops and select thin 17 in laptops. Integrated foam panels keep your electronics and other valuables protected. Padded tablet pocket. Crush proof Tech Vault pocket with soft tricot liner. HUB (Hybrid Unibody Backpanel) for ultimate comfort. Padded mouse or digital camera pocket. Increased shoulder strap foam padding creates Sweet Spot comfort zone. Fully adjustable ergonomic shoulder straps with sternum strap. Two zippered side utility pockets. Dual side water bottle or accessory holders. Quick access expandable phone pocket. Deluxe organization panel with zippered stash pocket. Soft touch padded neoprene grab handle. Materials: 600D polyester pindot Volume: 1800 in³ Imported. Measurements: Bottom Width: 10 1⁄2 in Depth: 6 in Height: 18 in Strap Length: 34 in Strap Drop: 18 in Handle Length: 7 1⁄2 in Handle Drop: 3 in Weight: 1 lb 10.6 oz This product may have a manufacturer’s warranty. Please visit the manufacturer’s website or contact us at warranty@support.zappos.com for full manufacturer warranty details. With pockets to hold your laptop, iPad and other essentials for school, this backpack provides style and storage for day to day use. 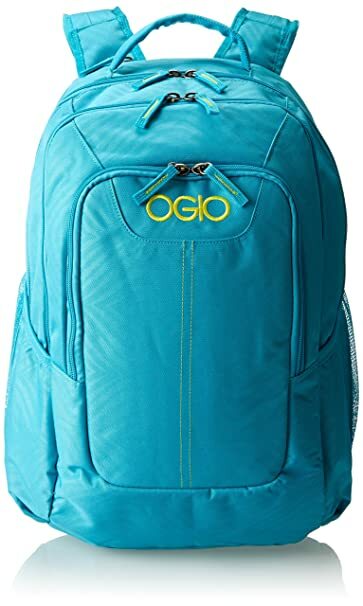 The OGIO Operatic 17 backpack is made from oxford polyester fabric and features a multi-compartment design with a padded, fleece lined laptop pocket, integrated foam panels that protect your valuables and electronic devices and a large main compartment for books and files. Other features of this pack include dual side water bottle pockets, a front stash pocket, an organizer pocket and a padded sleeve for your iPad or tablet. A padded back panel offers added comfort for all day use. 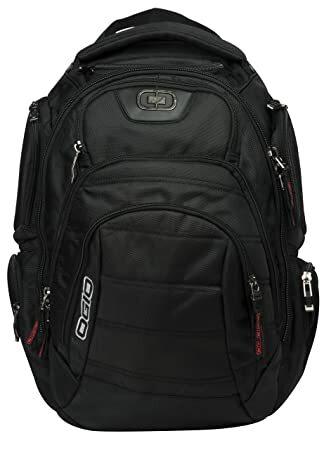 With enough pockets and compartments to hold all of your tech gadgets and personal items, this backpack is perfect for day to day use for work, school, or travel. 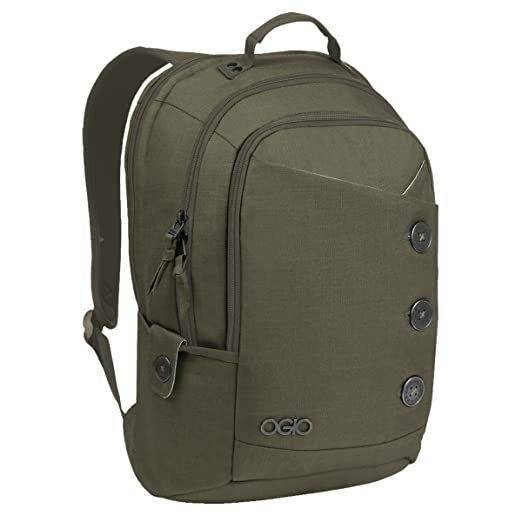 The OGIO Bandit 17 Pack is made from durable oxford and dobby polyester fabrics and features a large shape with a streamlined design and multiple pockets for organization. This backpack has a top loading fleece lined laptop compartment, a padded pocket for your iPad or tablet, a padded pocket for your mouse or digital camera and plenty of organizer pockets to hold your cell phone, pens, keys, business cards and other small items. A Hybrid Unibody Back panel and an ergonomic shoulder harness offer comfort for all day use. Available in a variety of solid colors and stylish prints, this rolling pack offers casual style and plenty of storage for day to day travel. 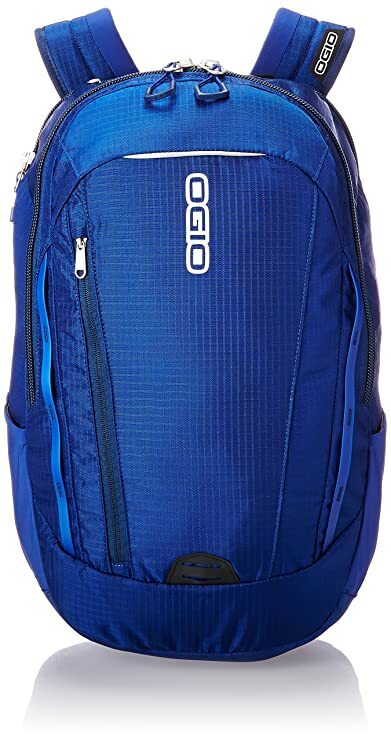 The OGIO Phantom Wheeled Pack is made from durable nylon and polyester fabric and features a classic shape with an ambidextrous telescoping handle system, a heavy duty chassis with off-road wheels and multiple pockets for organization. This rolling pack includes a large main compartment to hold books, folders, or binders, a padded laptop compartment, a zippered valuables pocket, an accessory pocket, an organizer compartment and an insulated front cooler pocket to hold beverages and snacks. Other features of this pack include dual side water bottle pockets and dual buckle utility straps for overflow storage. 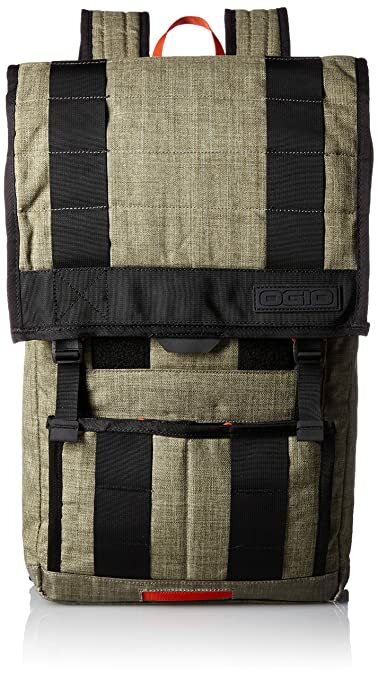 Tote your laptop and all of your small essentials in this fashionable and functional tote bag from OGIO. 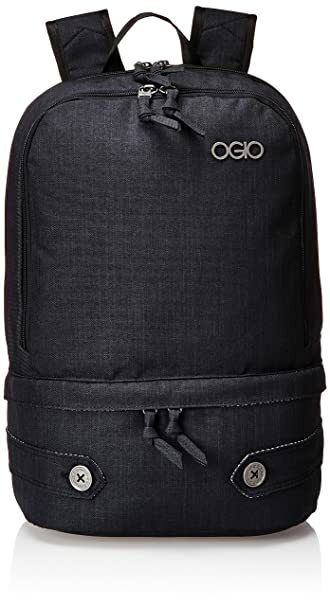 The OGIO Hamptons Laptop Tote features TC poly fabric with button accents down the front, a removable tie around the top and multiple flap pockets on the sides. This tote bag has a secure top zipper closure with a fully padded laptop compartment with a fleece lining, a padded pocket for your tablet, iPad, or eReader and a large interior zippered pocket for valuables. A zip around pocket on the back offers extra storage for your cell phone, pens and other small items while exterior flap pockets provide quick access to the items that you use most often.